Some won’t like the music from Big Smo, but some will love it. I wouldn’t say I’m a huge fan of the country rap genre, but I do like some of the songs. I’m a Colt Ford fan. I’m open to any kind of country music. 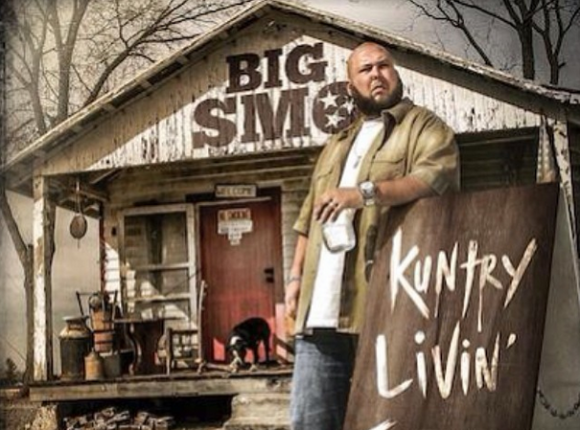 And Big Smo is the new guy on the block when it comes to country rap. Actually, he’s been around for a lot of years. He’s not the new guy in terms of how long he’s been working on his career. But he’s new to the mainstream country audience. And they better get ready because his career is now taking off. Check out the hit video from earlier this spring. The lyrics are classic country. You have a story about the people out there working every day, all day to make ends meet. It’s not an easy life, but those that do it wouldn’t have it any other way. They focus on doing everything they can to make sure their families are taken care of. Put that story over some hip hop and rock beats and you get a new genre of music. It’s country rap, but really it’s just a little different take on country music, which has always been stories about rural life where so many people in America are raised. I like this song. It’s incredibly catchy. When I catch myself singing along with the chorus of a song for a long time after I heard it I feel like that makes it’s at least a pretty good song. And I think this is a really good country song. Not everybody is going to like it and that’s okay. There are those that do and those are the people that Big Smo cares about. It’s like the Sawyer Brown song, Some Girls Do. Some country fans don’t like artists like Big Smo, but some country fans sure do.